If you are ready to see a major change in your home’s décor and curb appeal, you are not alone. 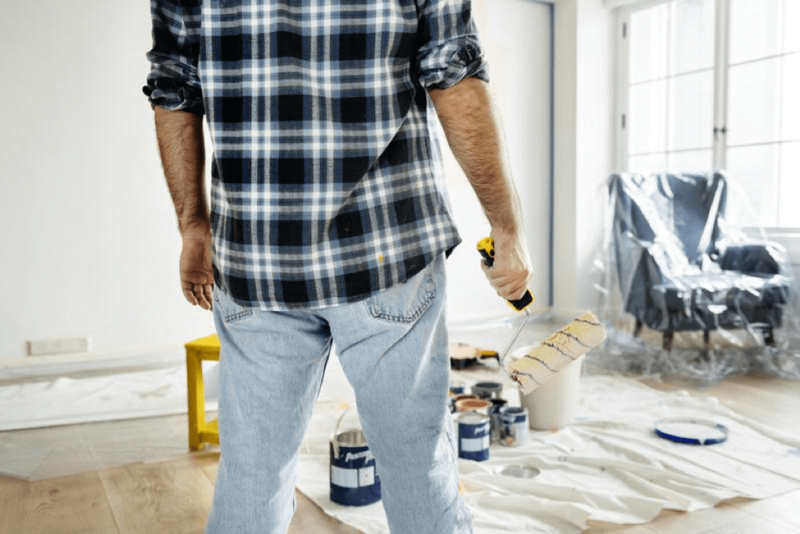 You may think that you would need to have a huge home renovation budget to achieve the desired results, but this may not actually be true. There is often a less expensive way to achieve the same overall look or effect. Here are some examples of projects that you may be able to complete on a dime with a little extra effort. You could pay a huge fee to a landscaping company to revamp your home’s curb appeal, but this is not necessary. With your own effort, you can save a fortune on labor expenses. In addition, you can complete the work in stages as funds are available. Little things, like planting new flowers, edging your lawn, or adding small decorative items, are just a few of many budget friendly ideas to bring new life to your drab landscape. It may take you several months or longer to accomplish your goal, but you will nonetheless generate the curb appeal that you desire over time. If your home’s interior is lackluster, consider upgrading the molding and trim. Some homes were built with very thin and non-decorative trim. They may not have any crown molding, and the windowsills may even be dull. Properly installing trim is a skill that is easily learned, and it can have a profound impact on home décor. There are numerous trim and molding styles available that you can choose from that can impact the home’s décor in wonderful ways. Another easy change you can make that makes a big difference is to paint the cabinets in your kitchen or bathroom. This is a cost-saving alternative to replacing the cabinets, and it can breathe fresh life into your space. You can even update the hardware for more impact. Keep in mind that renovating the entire kitchen or all of your bathrooms may be a possibility as well. When painting, remember to store valuables away from the scene as painting can get a bit messy. You should store these items in the correct type of storage and keep it off of any floors, as the items could be subject to heat, cold, pests, or moisture if not placed somewhere safe. If the project you are hoping to accomplish costs a little more than you can afford at the moment, you may consider getting a loan. If you’ve built up equity in your home, you may be able to use it through your bank to get a home equity loan. For example, if you are a military veteran, there are several VA home loan options to help complete your project. Make sure to shop around for the lowest rates; this will make sure you stay within your monthly budget and still increase the curb appeal, and property value, of your home. When you start to feel the itch for a new look, you don’t need to shell out a ton of cash for a full-scale renovation. With a little bit of creativity and strategy, you can achieve professional results with relatively little output. After all, why spend more money than you need to?